Until February 28th, 2019 you can use this coupon to take 20% off of one regularly priced top, pant, or jacket including new arrivals! This coupon code will get you 10% off your order of regularly priced merchandise when you use it at checkout. Some exclusions apply, expires March 31st. 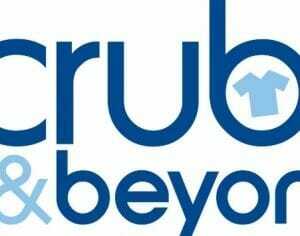 Spend at least $100 at Scrubs & Beyond and use this promo code to take $10 off the order. Valid until February 28th, 2019, some exclusions apply. This coupon is valid online only, enter at checkout to take 20% off lab coats until February 28th, 2019. Use this coupon at Scrubs and Beyond to lower the minimum spend for free shipping to $75. Offer expires on February 28th, 2019. This promo code can be entered at checkout to get shipping for just $5 on any order that is less than $125 and does not qualify for free shipping. Expires February 28th. Making a large purchase for a clinic or office? Use this coupon code at checkout to take 10% off of your group order. When you sign up for the Scrubs & Beyond mailing list you will immediately be sent a coupon for $5 off your next order, plus you will be among the first to know about any future sales, discounts, or promo codes. High quality healthcare apparel starting at just $12.98, many styles to choose from! No promo code needed, prices are already reduced. Scrubs Sale: Take up to 75% off! Shop the clearance section for amazing deals on scrubs and other medical professional wear. No coupons are required, prices are already discounted by up to 75% off the regular price. Scrubs & Beyond has Dansko professional nursing clogs in many fashionable patterns and colours. No shipping, and no promo code necessary. Scrubs & Beyond has free shipping on all U.S. orders over $125, always! No coupon code is required to redeem this offer. Scrubs and Beyond is a healthcare apparel online retail company. The company was founded by Karla Bakersmith in 2000. In July 2013, Scrubs and Beyond bought Uniform City and Life Uniform to become the largest retailer in the healthcare apparel industry. Currently, the company boasts of over 140 store locations spread throughout the United States. It serves the US as well as the international markets through the e-commerce platform. Scrubs and Beyond sells tops, pants, shoes, lab coats among other healthcare accessories for men and women. It stock various famous brands such as Koi, Urbane, Dickies, Barco, Medcouture, and Dansko. You start by visiting the website www.scrubsandbeyond.com. Then you explore the menu shown on the top right corner of the screen. The items are arranged in categories for easier navigation and shopping. They are further classified into more specific items. Tab or click on the subgroup you’re interested in and shop your favourites. The chosen products will appear in the shopping cart. You can pay with debit cards like Visa or MasterCard if you’re within the USA. For international customers, PayPal, bank wire transfers, Money Gram, and Alipay options are accepted at Scrubs and Beyond. International credit cards are accepted too. Simply tab on “International Checkout” option. Your order will be packed and shipped if in stock. If out of stock, the item will be billed and shipped when available. For any inquiries, there is a toll free line for you to get customer care service, 1-866-792-2849. If you have a coupon code, enter it at the correct field during checkout. To benefit from coupon codes, ensure you pick eligible items that have valid coupon codes. You must use capital letters for the promo code. Only one coupon code is applied per order and you cannot use it with other offers for the same order. If you face challenges using any promotional offer code, you can seek help by calling 1-866-972-2849 toll free. Alternatively, email your question to guestservice@scrubsandbeyond.com. You should also check “Promotional Exclusions” to know limitations to the use of coupon codes. Sometimes you may need to contact Scrubs and Beyond for assistance concerning your order. In such a case, you can get faster help by calling customer support through 1-866-972-2849. This service is available 24 hours a day. You can also initiate a Live Chat on Scrubs and Beyond website to get the information you want. Live Chat icon is at the bottom of the screen on the website. You can access helpful information by clicking “Customer Care Center” on the lower part of the screen. Select the category under which the information you’re looking for falls. Email communication is available as well. You can signup and subscribe to receive email notifications from the company. Scrubs and Beyond also provide updates and offers through its social media accounts. It keeps a YouTube account, Twitter account, Instagram, Pinterest, and Facebook page. You may interact directly with the merchant here or just follow them on social media. If an item you delivered to you doesn’t fit your requirements, don’t worry. For unsatisfactory color, size, texture or if you received a wrong item you can return to Scrubs and Beyond. You just need to ensure the item is not washed, embroidered or worn. It should be in its original new state for the return to be accepted. You should include the packing slip in the return package and meet the return shipping costs. If for whatever reason you can’t locate the packing slip and can’t get your order number, you’ll have to call customer care for help. Provide your order number and you’ll be assisted. Your return should be received within 60 days from the delivery date. Make sure to indicate if you need an exchange or refund for the returned item(s). If you qualify for a refund, this will be processed within 14 working days. The refund will be made through your original payment method excluding shipping charges. In case there’s a Scrubs and Beyond store near you, make your returns easy by taking it there. To get help on international returns, call via 1-786-391-4865 or email scrubsinternational@globalshopex.com.